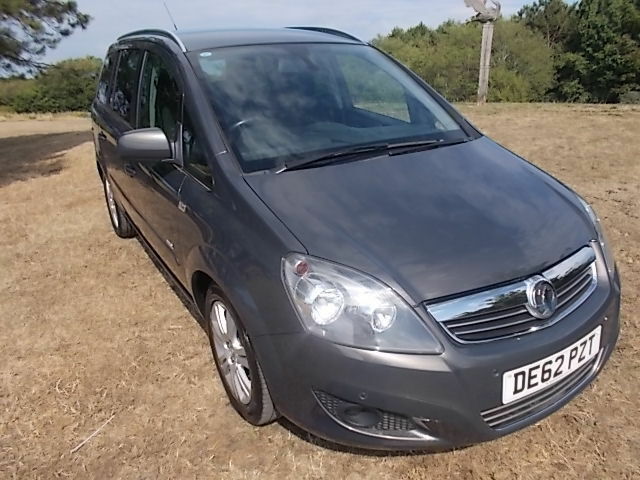 2012(62) Zafira Diesel with the 1.7 ecoflex engine which gives both performance an excellent fuel economy, this is the Design model which comes standard with Satnav,Heated Seats,Bluetooth,Climate Control,Parking sensors front and rear,Alloys Etc. Only done 57000 miles part history all in excellent condition. 2 remote Keys,as with all our vehicles it will come with 3 months parts and labour warranty and 12 months AA roadside assistance.